“People will see as well as hear around the world — Pocket-sized radio instruments will enable individuals to communicate with anyone anywhere. Newspapers, magazines, mail and messages will be sent through the air at lightning speed …” This quote accurately describes the way we communicate and access content today, on a platform like Snapchat. But, surprisingly it was actually given nearly 70-years ago by the late David Sarnoff, then the Chief Executive of the Radio Corporation of America. This great quote opened proceedings before Snap co-founder and CEO Evan Spiegel took to the stage at the company’s first Partner Summit in LA last week. When I signed the deal for PinkNews to become the LGBT+ content partner on Snapchat Discover, a lot of people baulked at the investment that we would put into building a vertical video team, on a platform that they perceived had already peaked. 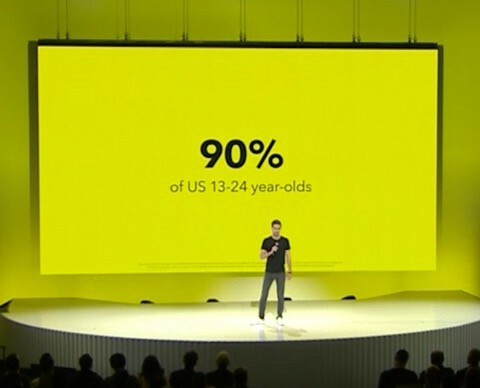 The numbers that Snap’s CEO Evan gave during his keynote speech at the company’s partner summit, really explained why it was worth the gamble for PinkNews to invest so heavily, and also why our launch has been such a success. In the US, Snapchat reaches an incredible 90% of 13–24 year-olds, otherwise known as Generation Z. This is a higher penetration than on any other social platform, including Instagram or Facebook. Gen Zs have long been interesting to us at PinkNews, because around half of them have identified their sexual orientation as anything other than 100% straight. The problem was that we weren’t reaching them in any sizeable number before we launched on Snapchat Discover. Since our launch, PinkNews has grown to become one of the largest daily publishers on Snapchat Discover and the platform has really helped redefine who we are in 2019 and who our content is aimed at. The almost 30 million monthly users we have on Snapchat, are mostly viewers that we were not reaching on any platform before. We’ve also generated significant revenue, our partnership with Snap is very different from the way we used to work with Facebook in days gone by. Snap is a genuine partner to publishers like us, and our interests are aligned to maximise revenue for both parties so that we can continue to invest in great content for our audience on the platform. 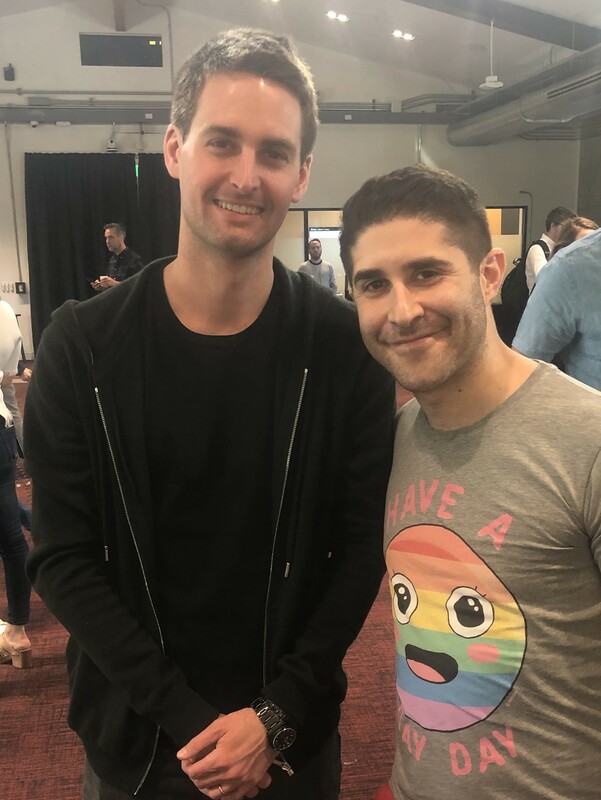 As part of the launch of Snap Kit, VP of Partnerships Ben Schwerin announced that PinkNews along with some other partners will be adding a ‘Share on Snapchat’ functionality soon. This is a great way for us to grow our organic mobile web traffic on the platform. What was so incredibly exciting about the three days I spent with Snapchat in LA was hearing from a variety of different partners about how they work with Snap from publishers like us, to vertical content production companies, to games developers, to advertisers. As a Snapchat user, I’m really looking forward to some of the excellent new vertical dramas that are coming to the platform soon. These include Denton’s Death Date and Two Sides — both of which I really loved from the previews at the Summit. Probably more important than the new content strands was the launch of Snap Games. This is Snap’s foray into the $77billion a year mobile gaming industry. It enters with a huge advantage, a sizeable audience ready to play social games with their friends, with no need to install separate apps to get started. I genuinely felt as if I was watching the future of gaming launch before my eyes. The future, and being the place where the future becomes a reality is a very important position for Snap. It is not Facebook, which in so many ways when you use the product, seems dated, the past. A product that despite pinching the Stories concept for Instagram and for the Facebook app, seems very much like the same product that my sister first showed me in 2005. While I can’t imagine my parents or grandparents ever using Snapchat in the way that they use Facebook, I’m not sure it really matters. For those in Generation Z, in the US, the UK, France and other markets, Snapchat is where they live online. Sure they might use Instagram as part of their public self, but despite the rivalry, in my view, they are relatively complimentary. Instagram is about the way you want the public to view you, while Snapchat is the way that you communicate with your closest friends and view great vertical content like PinkNews! At a more intimate breakfast event the following day, Evan Spiegel explained something I’d not really thought about. In the US, unlike Europe, text messaging has in general been free (or iPhone users just use iMessage). This has meant that Whatsapp has never really taken off in the way it has in Europe — Whatsapp is tiny in the US compared to Snapchat. So for many US Gen Z users, Snapchat is the way they communicate in a fun, instant and ephemeral way, rather than using the standard text messaging system on their phone. Getting these users to spend more time on Snapchat through playing games, watching vertical video or sharing content makes a lot of sense. It enables Snapchat to grow its revenue per user significantly, even if it doesn’t grow its core base of US users hugely. Shortly after the summit (I tried and failed to get Evan to comment on this during the breakfast), Snap announced that it was rolling out its rebuilt Android app. This is really important as Snapchat enters new markets like India where the vast majority of the target market use Android, rather than iPhone. Snapchat’s previous Android app only worked well on the more upmarket devices, rather than the ones typically used by Gen Z in these markets. It will also help it grow in its more established markets, as existing iPhone users add their Android friends to the conversations or games. What’s next for PinkNews on Snapchat? Well, merchandise for starters, like the t-shirt I’m modelling next to Evan in the photo above. This is an important business line for us that was completely born within Snapchat- we’re taking the most shared and screenshotted memes that have been posted on our Snapchat Discover channel and turning them into physical products that users will be able to buy directly. We’re also in the process of rolling out geo-specific versions of PinkNews on Snapchat Discover, as Snap grows in more countries. Snapchat is the single best way for PinkNews to reach new, young readers in markets that we haven’t operated in before. Soon we’ll also be launching a number of new Snapchat Shows, some of which were first born as individual Snapchat Discover editions. Snapchat allows us to experiment with content forms and ideas on a global stage. I left LA feeling invigorated, and full of new ideas to work on with our super team. 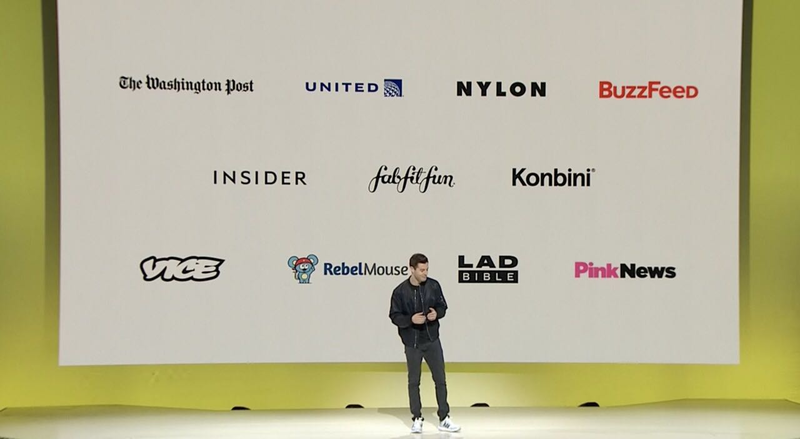 We have great friends in the other big platforms: Amazon is a headline sponsor of the PinkNews Awards, Google is co-funding our new Advocacy Platform and we’re building out new shows with Twitter. But there genuinely isn’t another platform that we work as closely with as Snapchat or whose goals are so aligned to our own. 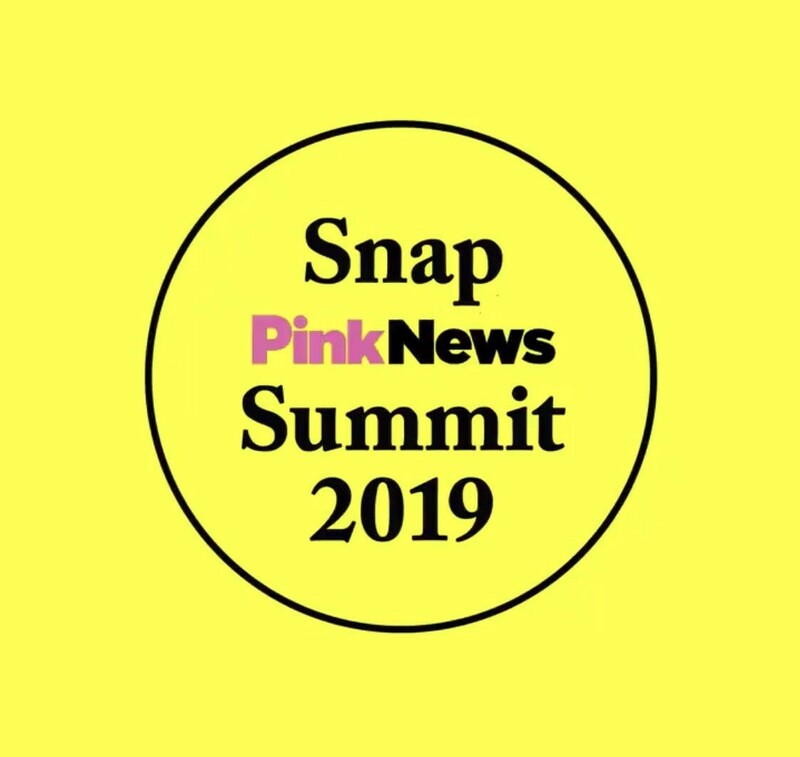 Making that decision to sign the agreement with Snap last year has been transformative for PinkNews already, and what I saw at the Snap Partner Summit made it clear that this was only the beginning.